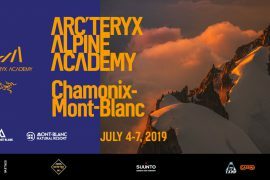 CAMP is partner of the Arc'teryx Alpine Academy 2019. 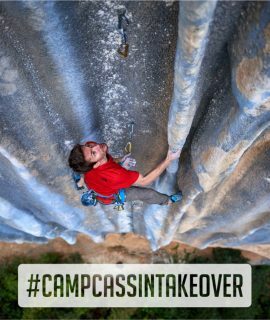 Climbing and mountaineering for everyone from 4 - 7 July 2019 at Chamonix Mont Blanc, France. 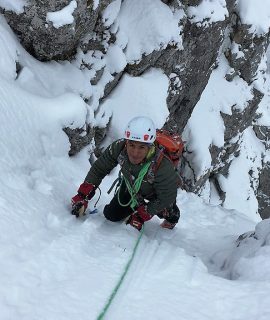 From Bolivia to Italy to become a mountain guide: Ronald Choque makes his dreams come true thanks to C.A.M.P. 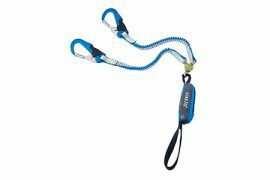 Via Ferrata Lanyard with shock absorber, super-safe carabiners and Gyro system designed to eliminate twisting and tangling. Lightweight and comfortable sport climbing harness. Women’s mountaineering jacket with down filling. Jacket for alpinism and ski mountaineering with PrimaLoft insulation. Lightweight ski mountaineering and alpine skiing helmet. 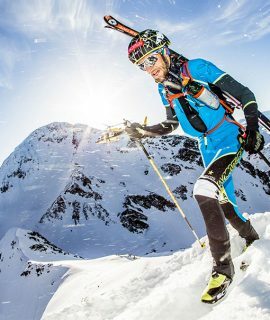 Storm, un casco al top di gamma, superleggero ed estremamente confortevole per arrampicata e alpinismo. 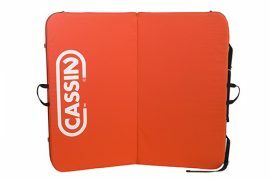 Compact and affordable crash pad for bouldering. Liquid chalk ensures the highest performance of any chalk. The lightest steel crampons in the world, for ski mountaineering. Mountaineering crampon for technical alpine terrain. A no compromise ice axe for mountaineering. Strength, durability, comfort, and a striking aesthetic unlike any other helmet. Sophisticated and versatile rock climbing harness. Climbing belay-descender device with assisted braking. Two ice axes in one – a fully optimized tool for technical ice climbing and an aggressive dry tooling machine. Passion, work and simplicity are some key-words that have always distinguished the way of doing of C.A.M.P. The passion is the one for the mountain and for the products that help everyone that go out there to accomplish their dreams and projects; the work is the one handed on for more than 115 years by four different generations that succeeded to the helm of the company, and the simplicity that marks a way of doing and collaborating based on seriousness and fairness. 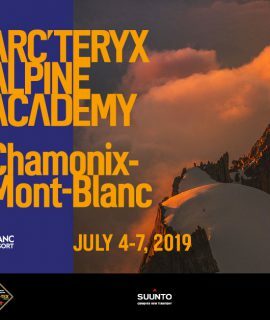 CAMP is partner of the Arc’teryx Alpine Academy 2019. 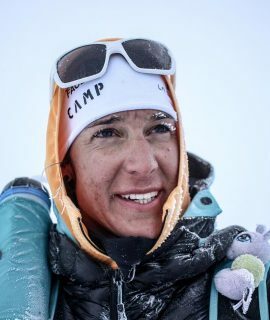 Climbing and mountaineering for everyone from 4 – 7 July 2019 at Chamonix Mont Blanc, France.